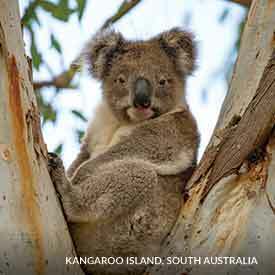 Australia's wildlife, stunning nature and friendly people have won hearts both on and off the big screen. And now you can go behind-the-scenes of Australia and star in your own adventure! With flights the cheapest they've ever been to Australia, now is the time to hop Down Under. We've curated the best ideas to ensure your trip is filled with movie-style magic. Explore these trips with hotel, tours and more and a fun video with more top spots to visit. 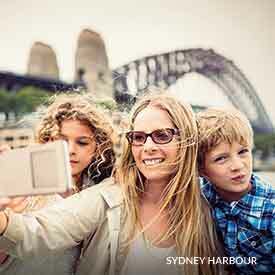 First time to Australia: You can start with the highlights and see the iconic attractions in Sydney, explore the Outback in Uluru & Alice Springs and dive into the Great Barrier Reef in Cairns or on an island. Explore nature’s wonders: Whether it’s your first or fifth trip, going off the beaten path offers incredible rewards. 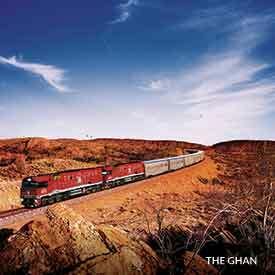 Try an Outback train trip like the Ghan, an expedition cruise in the Kimberley, a walk in the world’s oldest living rainforest, or a wildlife safari on Kangaroo Island. 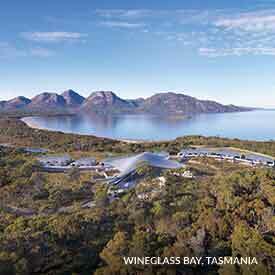 Eat and drink well: Try a whiskey and gin tasting in Tasmania and the foodie hubs of Adelaide, Sydney and Melbourne. Wash it down with the ultimate wine experiences at world-class vineyards. Beaches and islands: However you like to experience the sand, Australia has a beach escape for every type of traveler - especially in Perth and near Brisbane. Events to feed your passion: Australia hosts many great events, including Vivid Sydney, indigenous light festivals, or the 2019 President’s Cup at the Royal Melbourne. Call us to book your amazing Aussie adventures! GOGO Vacations: Prices are per person, based on double occupancy accommodations. Land packages do not include meals unless otherwise indicated. Savings reflect land prices only and vary by resort and travel dates. Resort credits are not redeemable for cash. Availability is limited. Rates and/or package prices are subject to holiday blackouts, peak period surcharges, and cancellation charges may be applicable of up to the full price paid depending on the package and when it is cancelled. Government imposed hotel and resort taxes and fees may not be reflected in the advertised price and may be payable directly to the hotel and resort. Other restrictions may apply and vary by resort. Valid for travel thru 12/31/20. Vacation package priced 9/3-9/11/19. GOGO Worldwide Vacations does not assume responsibility for any errors or omissions in the content of the offers displayed. Journese – Curators of Fine Travel: Land price is per person, based on double occupancy for select travel through December 15, 2019. Rates quoted are accurate as of January 5, 2019; at the time you purchase your package, rates may be higher. Airfare, taxes, surcharges, gratuities, transfers and excursions are additional. Advertised rates do not include any applicable daily resort or facility fees payable directly to the hotel at check-out; such fee amounts will be advised at the time of booking. Rates, terms, conditions, availability, itinerary, government taxes, surcharges, deposit, payment, cancellation terms/conditions and policies subject to change without notice at any time. Other restrictions may apply, including, but not limited to baggage limitations and fees, standby policies and fees, non-refundable tickets and change fees with pre-flight notification deadlines, and blackout dates. Fees and policies vary among airlines. Not responsible for errors or omissions. Journese acts only as an agent for cruise and tour providers listed. CST# 1007939-10. Copyright©2019 Hawaii World, LLC. (dba JourneseSM). All Rights Reserved.